Hosting a great networking event is no easy task. Everything has to carefully be planned and executed, from the tiniest of details to the grand picture of what the event is meant to accomplish. 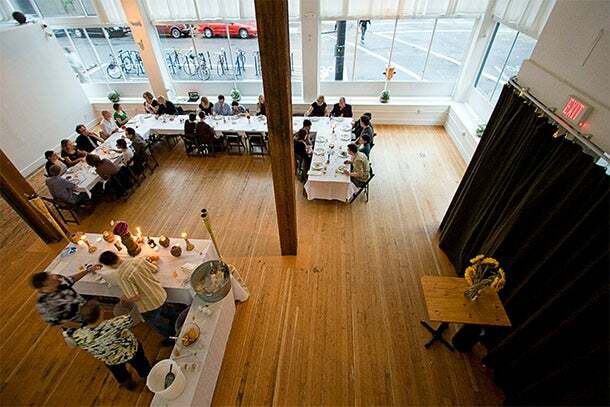 The foundation to creating an enticing and memorable event starts with the space itself. The following hotel spaces might have just what's needed to spice up an upcoming networking event, whether it's a formal event for 10 guests or an informal event for 140. 1. Sunset on the beach. Marco Island Marriott Beach Resort, Golf Club & Spa, Marco Island, Fla. 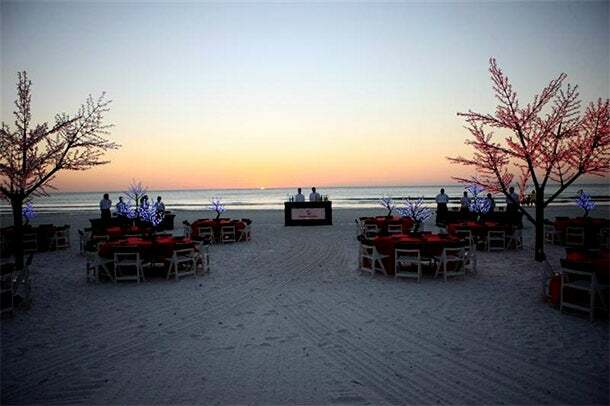 The Marco Island Marriott lets guests put their toes in the sand for a banquet while growing their network and enjoying an unforgettable sunset. As waves crash on the beach just feet from guests, this setup is casual yet professional, making the perfect statement about a host's event-planning skills. The Nantucket Hotel & Resort, Nantucket, Mass. 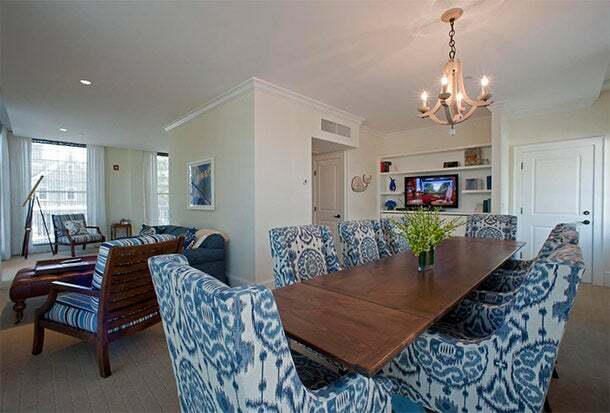 For a smaller, more intimate gathering, the executive suite at The Nantucket Hotel & Resort offers stately comfort during any season of the year. 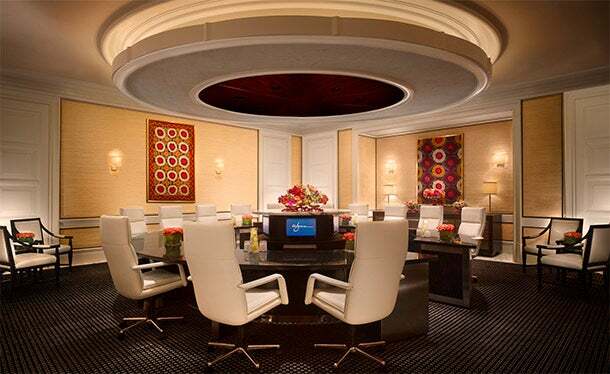 With a relaxed boardroom feel and a 42-inch LCD television with a high-definition multimedia interface for laptop presentations, the suite allows for a day of introductions, discussions and relationship building. Casa Madrona Hotel & Spa, Sausalito, Calif. Originally built in 1885 and listed on the National Register of Historic Places, Casa Madrona Hotel & Spa gives guests the sense that they’re truly being welcomed into someone’s home. 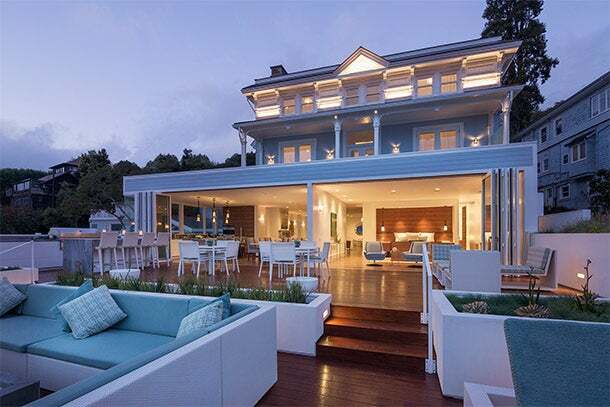 The Mansion's multiple private decks and panoramic views of the bay provide cozy quarters so guests can feel more like friends and family than business acquaintances. 4. The garden at Capische. A lush and relaxing outdoor oasis, the garden at Capische at Maui's recently renovated Hotel Wailea is perfect for taking advantage of Hawaii’s amazing weather. When conventions and trade shows are in town, a networking event here could compete for the hottest gathering. 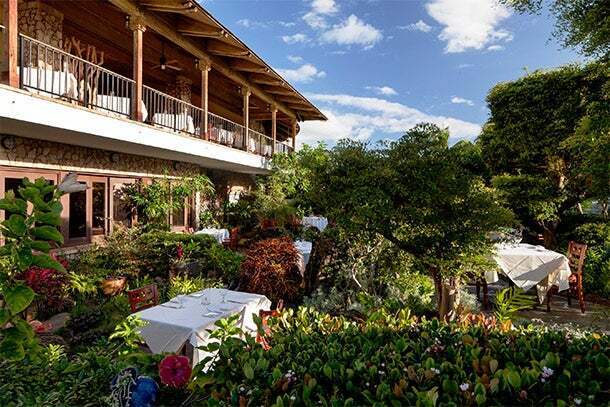 With its koi pond, waterfalls and 180-degree unobstructed view of three islands, the garden is the quintessential setting for mixing, mingling and talking business. 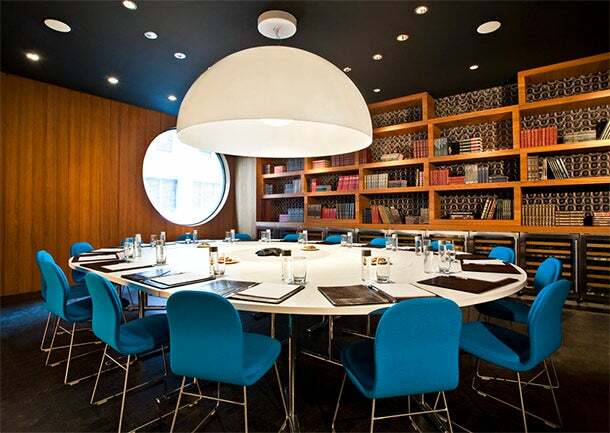 When staging an event when the goal is truly for the participants to get to know one another, the Library Room at New York City's Dream Downtown offers a great space just for that. Right in the Meatpacking District, the atmosphere feels fun, vibrant and memorable -- perhaps the same things guests will be saying about the event's planner after attending. 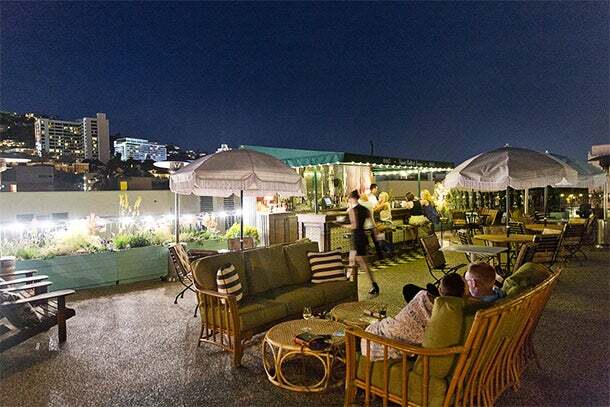 Already a hot spot for tastemakers and business professionals in Los Angeles, the open rooftop at Palihouse in West Hollywood, Calif., is great for hosting a large group of influencers of any sort. Upon experiencing its sunset views, guests may not want to leave. The inviting and quaint bar setup offers a modern yet simple atmosphere that puts the focus on the task at hand: making new connections. The Puccini Boardman at The Encore is secluded enough to keep attendees' attention but still close enough to the glitz and glam of Vegas action. With its round marble conference table, each attendee is put front and center, making the space ideal for intimate introductions and meetings. The Restoration on King Boutique Hotel, Charleston, S.C. 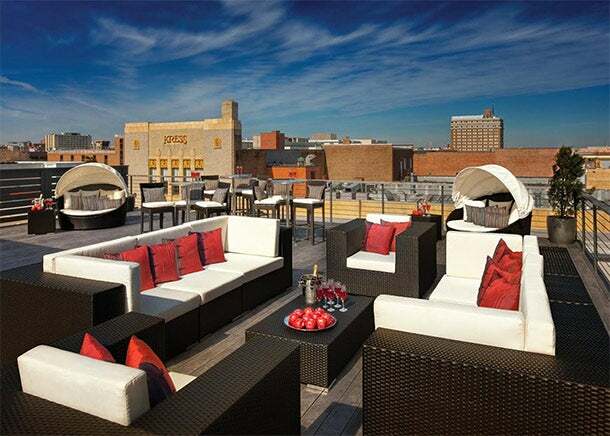 This Rooftop Terrace has everything needed for a standout networking event in Charleston, S.C. With awesome views of the city, the rooftop at The Restoration on King Boutique Hotel offers more than just a place to make new business acquaintances. It grants guests a chance to meet the city of Charleston, recently included on Travel + Leisure’s World’s Best Cities list, as never before. Ace Hotel in Portland, Ore. Ace Hotels across the country have mastered the concept of providing simple yet interesting spaces and The Cleaners room at the Ace Hotel in Portland, Ore., is no exception. Attendees will quickly find out that nothing about the Ace is as simple as it seems like its 15-foot windows and wrap-around window seats. Guests can relax in this unpretentious space while staying on top of their networking game.